Winter is coming and we want to propose you some ideas for keeping you warm this season. Coats are an essential item in our winter wardrobe and we need them to adapt to our day-to-day life, but without forgetting special occasions. As we have already mentioned in a previous post, jacquard is a special technique that allows us to create a drawing at the same time that the fabric is made. In this way it is possible to combine colors and structures that give a little more vitality to our looks. For example, wearing it with a total black look made from a flowing black dress, the jacquard coat will bring more vitality and luminosity to your elegant and feminine look. Taking advantage of two infallible basic items, such as jeans and a basic blouse, a jacquard coat in the minimal style like the one we propose, is perfect to give more casual touch. Have you ever tried to play with different volumes? An oversized coat with a straight cut will give you a more stylized effect if you combine it with your favourite ankle jeans or if you roll up your cuffs. Balance is the secret! 3. Expand your color palette! And finally... add some colour to your look! We give this advice for you to expand your colour palette and to get out of the cold and traditional shades. Combine your favourite garments with nenewed colours like the burn orange and the deep green. This season is full of vibrant colours! Still have doubts? Our experts can help you choosing the ideal coat and combine it with your favorite clothes. 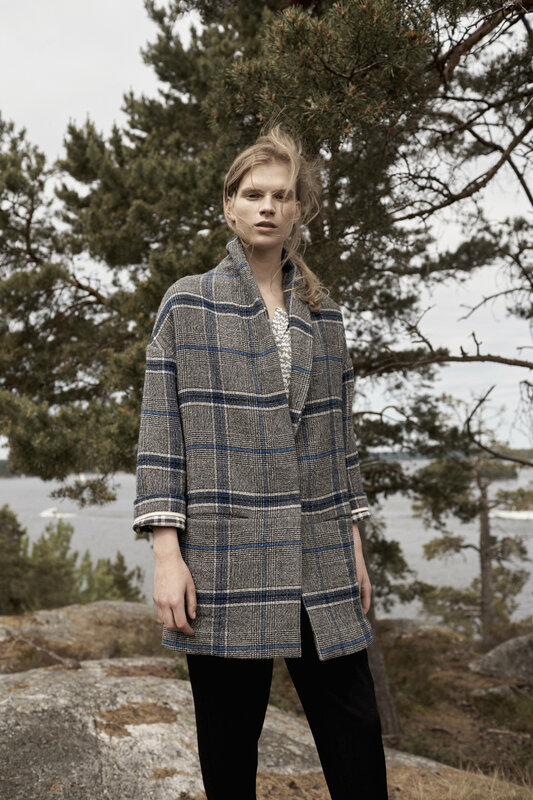 Visit our Sita Murt/ stores and let us advise you on the warmest coats and jackets of the season.